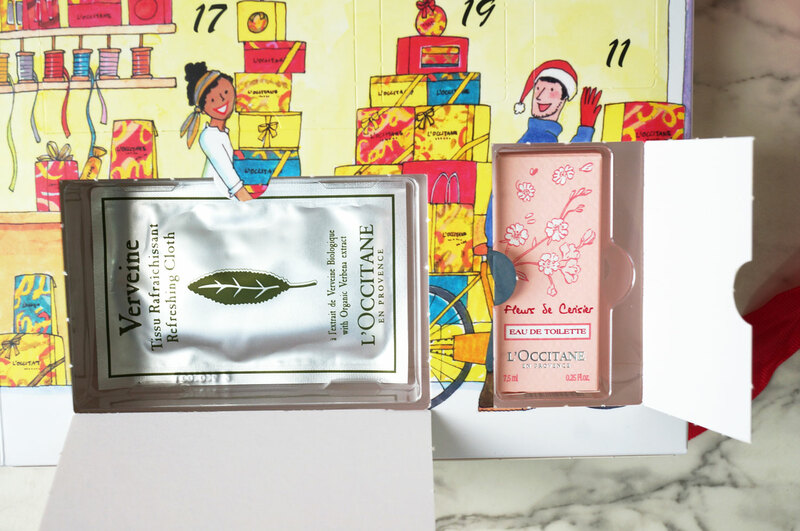 The first of the 2016’s beauty advent calendars has just arrived at TSNC HQ, and I couldn’t wait to get stuck in and share with you what’s inside! 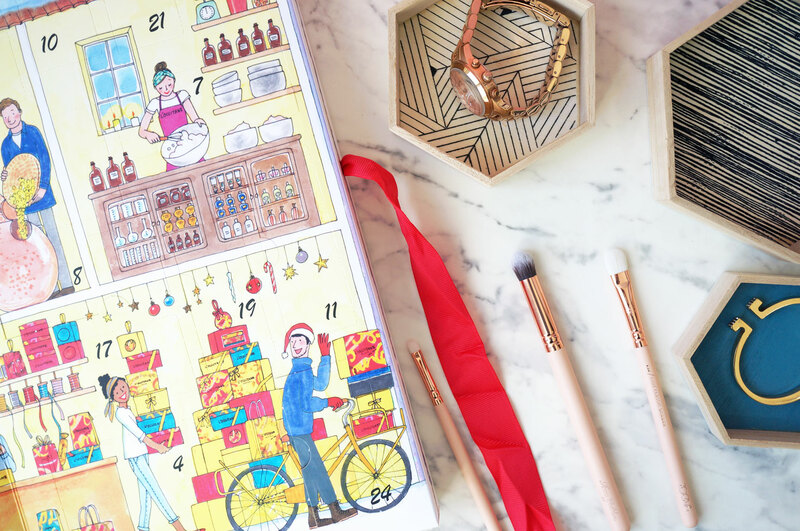 The 2016 advent calendar is designed as a large box that opens up on one side, like a book. 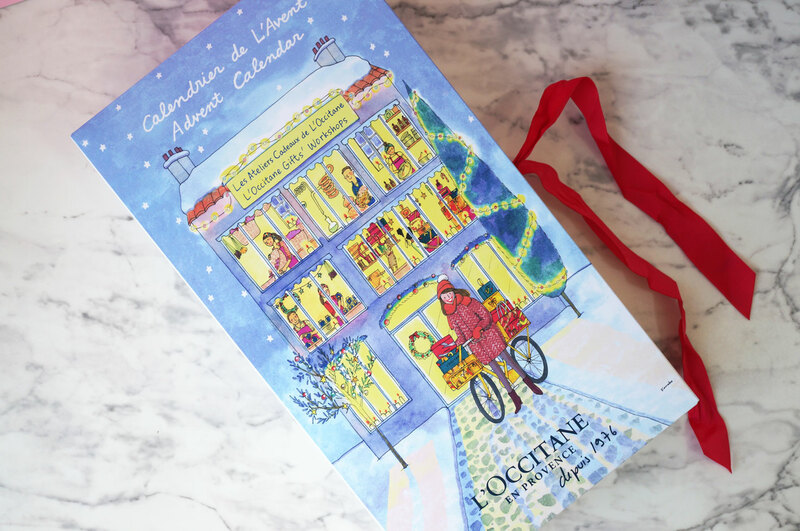 It’s tied closed with a festive red ribbon, and has a typical L’Occitane design of hand drawn and water-painted characters and Christmas scenes. 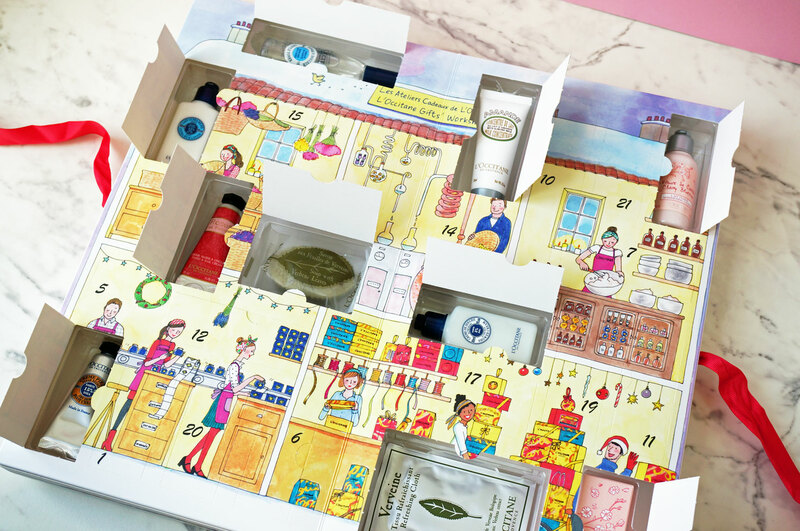 The inside has a ‘Loccitane Gifts Workshop’ theme which is really cute! With 24 perforated windows. 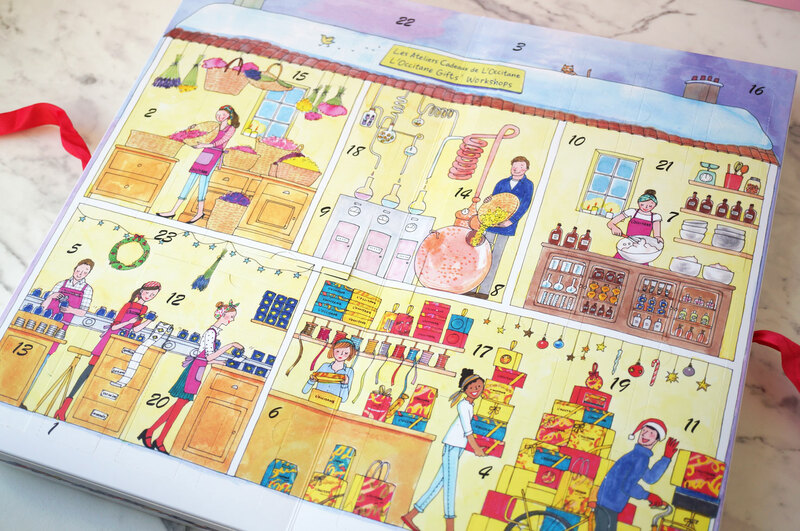 It’s also worth mentioning that this year the calendar contains 24 L’Occitane products – compared to last year where a few of the windows contained Christmas decorations and accessories, like parcel tags, mini bows and confetti stars. So in comparison, you definitely get more for your money in this year’s box! 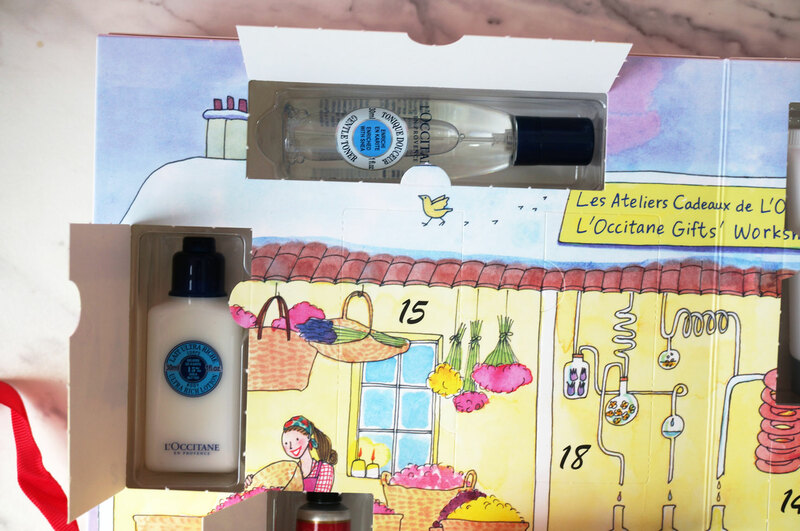 The L’Occitane Advent Calendar is It’s a very reasonable £42.00, with £80.00 worth of treats inside – so if you’re a fan of L’Occitane, or bath and skincare products in general, you should definitely check this out. 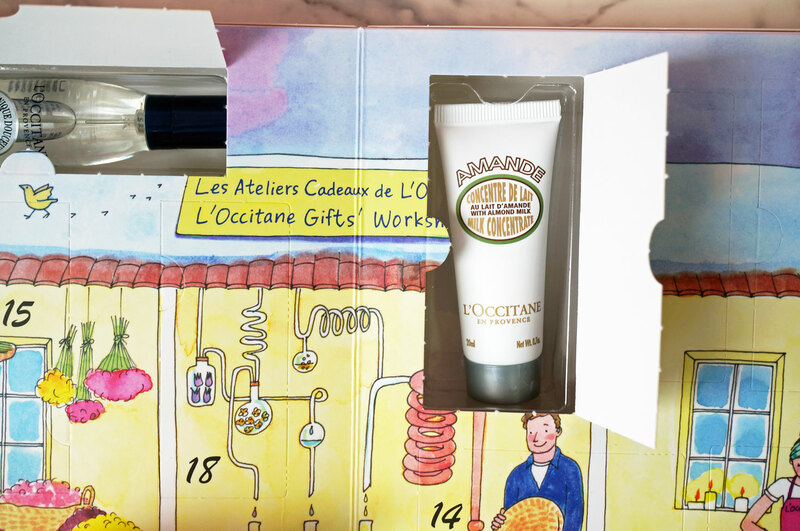 It’s available to purchase now at L’Occitane.